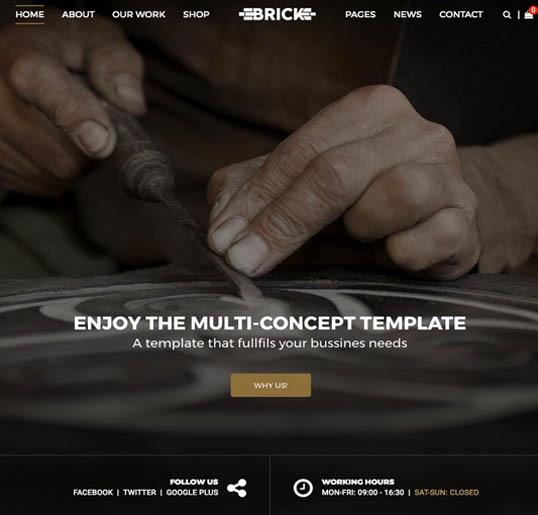 Brick – Multi Concept WordPress Theme, is a theme made for a lot of businesses, based on Bootstrap GRID 1170px it is ready for developing a responsive and powerfull website. Brick uses FontAwesome and other Retina Readt Icons which makes it richer for the client. 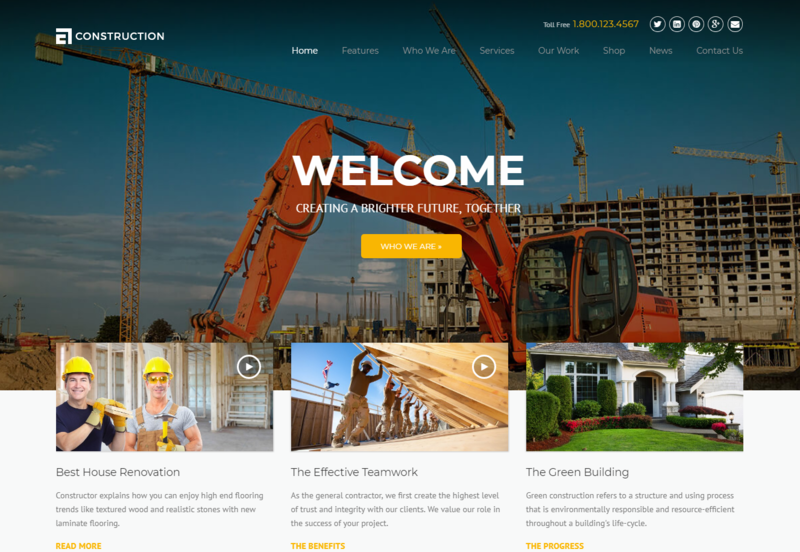 The Build is packed with all the latest and greatest tools and features required for designing the perfect website for your construction company. 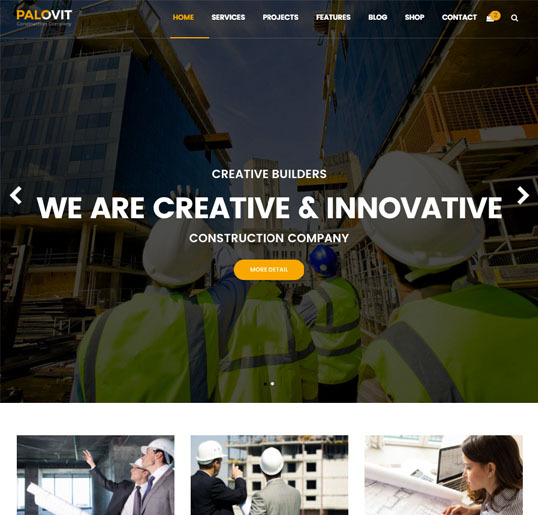 As this is a newly released WordPress theme, you’ll have the ability to build a modern and fully up to date website if you choose The Builders. Unlike some of the other options in this collection, The Build does only have one website demo to work with. However, having less pre-built website modes to browse when setting up your site could, in fact, speed things up. 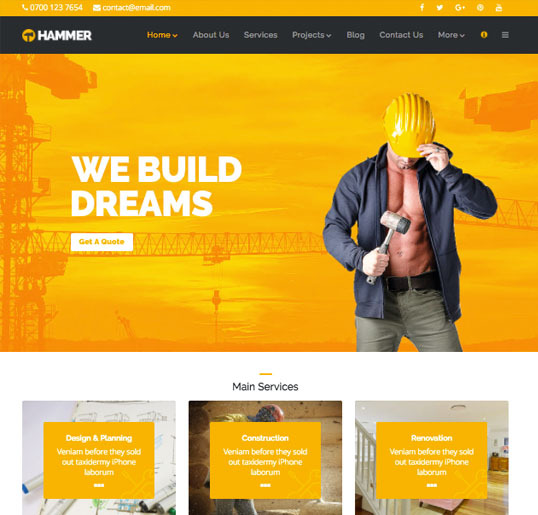 It’s also worth pointing out that thanks to the inclusion of the powerful Visual Composer page build plugin, you’re certainly not limited to using this theme in its default configuration. 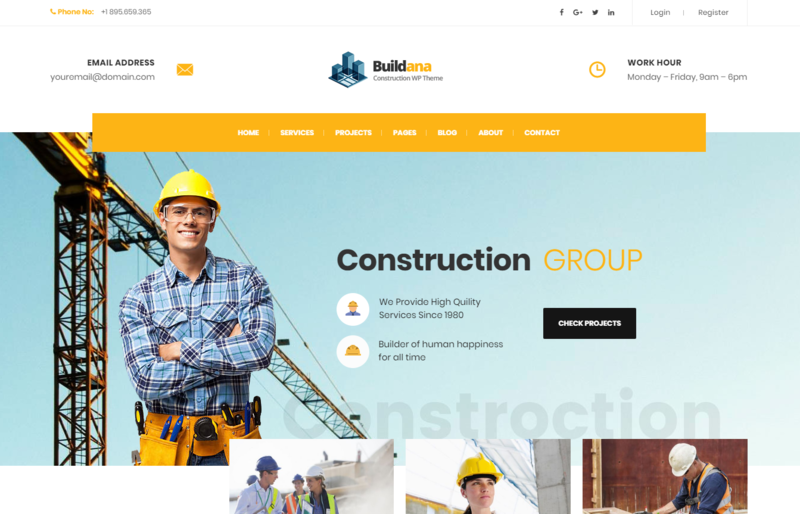 Whether you’re using Visual Composer and its drag-and-drop page editor interface or the extensive set of theme customization options, you’ll have no trouble personalizing the content included with Build. 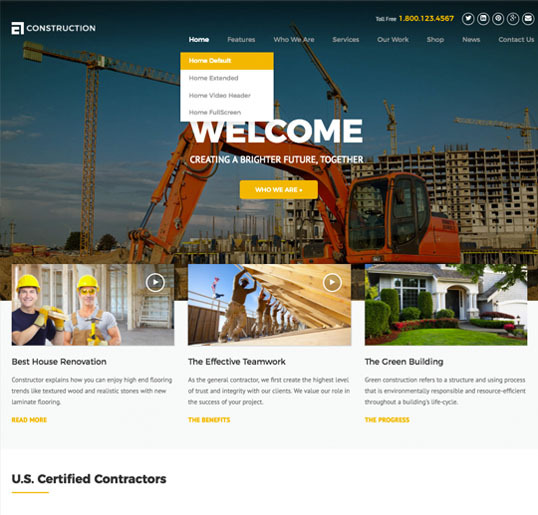 Designing your own website from the ground up shouldn’t be a problem either. 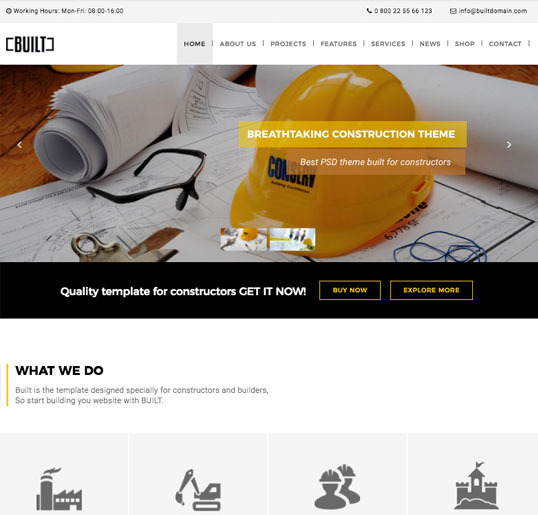 If you’re looking for a solid all-in-one package with a modern design, then Build theme certainly checks all the boxes.